When the windows needed replacing in this unique barn conversion property, the home owner knew they wanted to keep the traditional Rosewood appearance in keeping with the other properties within the site. Combined with the angled frames they knew that choosing the right company to tackle the project was of utmost importance. 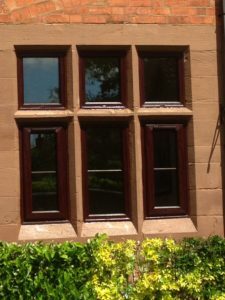 Using Rosewood effect upvc, and chrome georgian bars, these A+2 rated energy efficient windows were perfect. Combined with our experience and knowledge, the end result is beautiful and stylish, and compliments the property perfectly. 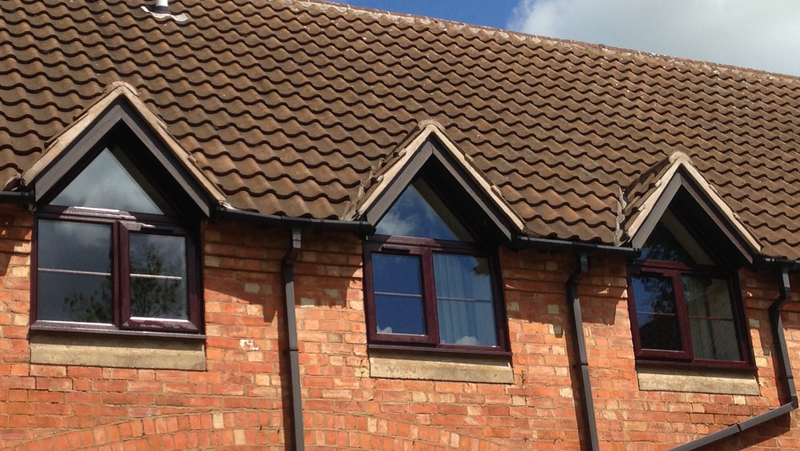 The unusual shape of the upstairs frames was easily achieved by our expert fabricators. 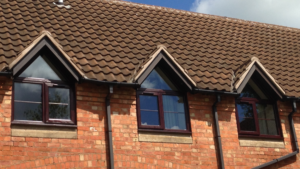 Whilst many favour the bright appearance of brilliant white and coloured window frames others prefer the more natural appearance of a wood finish product. 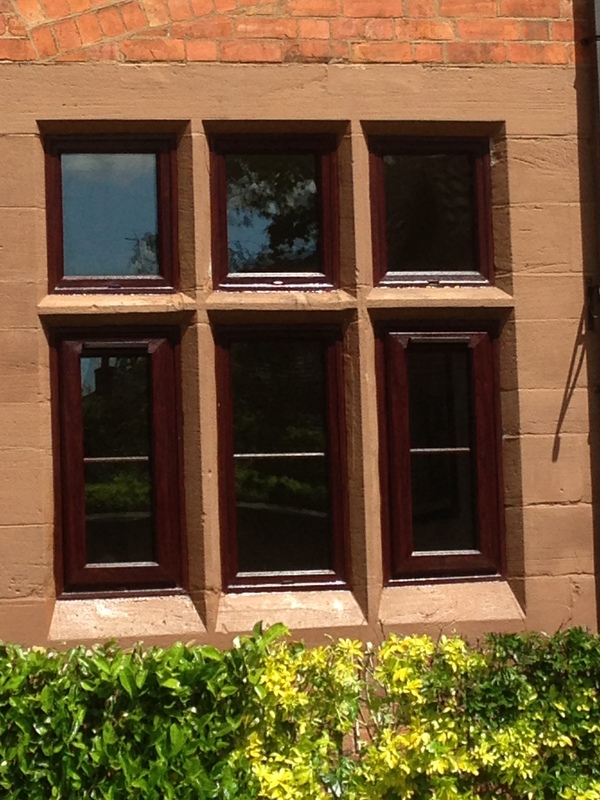 Therefore to give you the maximum choice we offer rich and luxurious Rosewood or rustic Golden Oak options. You can also have both with white frames on the inside to blend with the decor and a wooden finish on the outside to suit the exterior of the home. 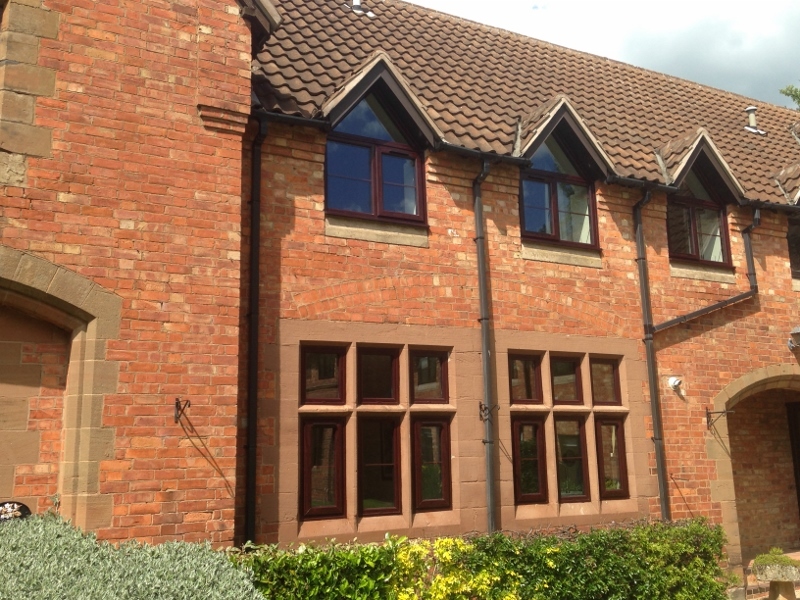 Coloured PVCu windows and doors now offer both a traditional or modern look to a property dependant on the colour and style of the property. With Windseal Double Glazing you can choose from a palette of 15 standard foiled colours with Anthracite Grey or maybe a Chartwell Green, Irish Oak or our new Mountain Oak or Desert Oak? The choice is there for you to add that unique touch.